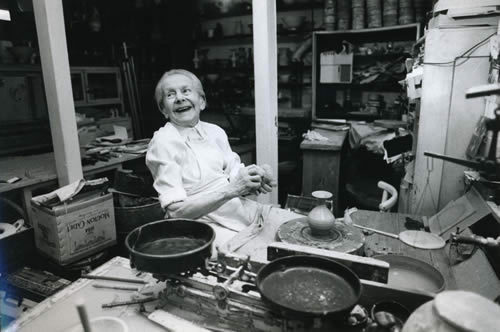 Lucie Rie, née Gomperz, was born on 16 March 1902 in Vienna, at that time the capital of the Austro-Hungarian monarchy. Her father, Dr Benjamin Gomperz, was an adept of Sigmund Freud, the father of psychoanalysis. 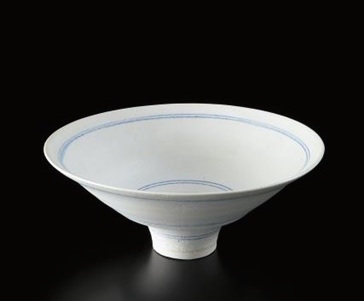 In this context, her work, despite being inspired by ancient forms, soon turned heads, and in 1925, she began presenting her earliest creations at the International Exposition in Paris, where she won a silver medal – one of the first in her stash of awards and distinctions – in 1937. 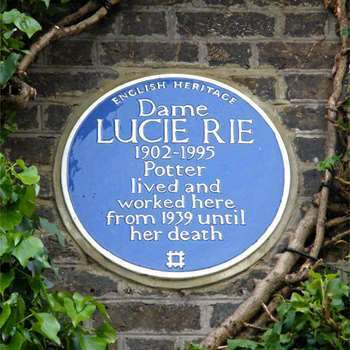 Fleeing the rampant Nazism and anti-Semitism in her natal Austria, she separated from her husband Hans Rie, whom she had wed in Vienna ten years earlier, and moved to London the following year. 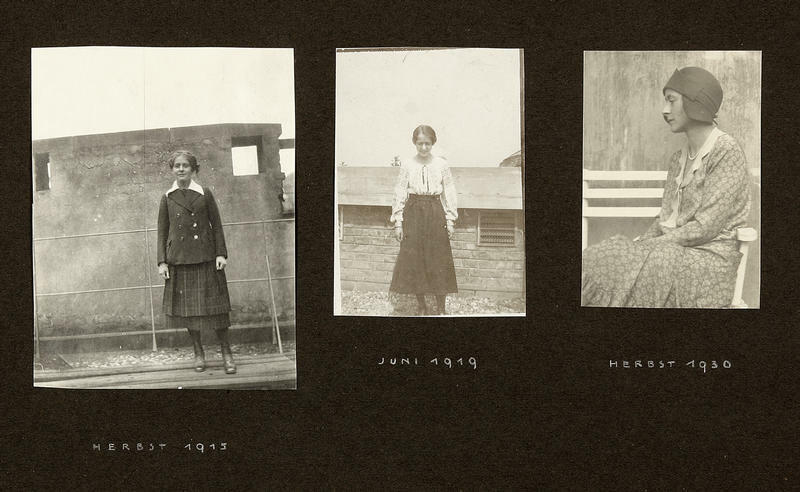 To earn a living in her new homeland, she began making ceramic buttons and jewelry, which she sold to fashion designers, subject to wartime restrictions at the time. 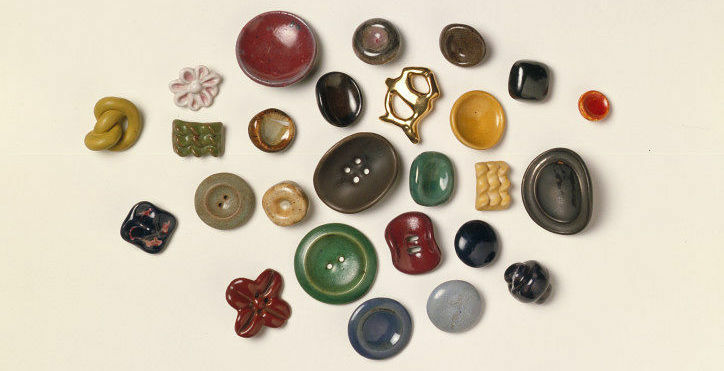 Today, some of her buttons are displayed in English museums, notably the Victoria and Albert Museum. 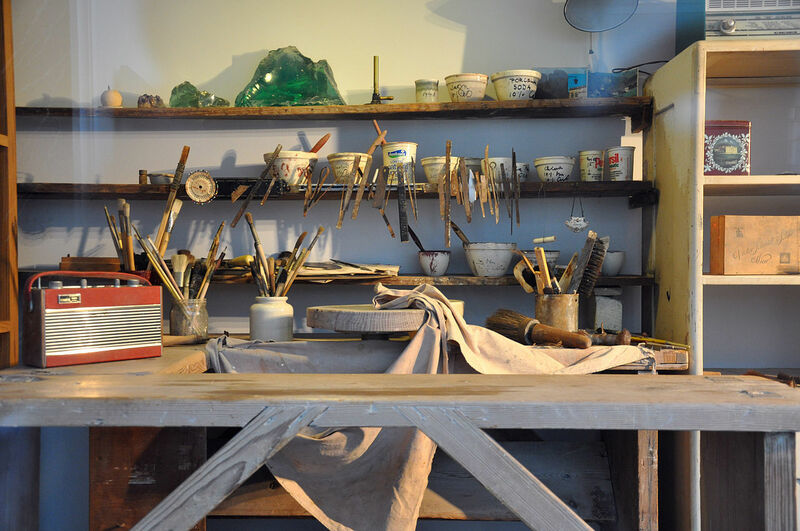 Her studio, a former stable at 18 Albion Mews, near Hyde Park, employed or sheltered several other war refugees including physicist Erwin Schödinger, an eminent contributor to quantum theory, and the young Hans Coper originally from Germany, who through his contact with Lucie Rie, would prove to be an excellent potter and also follow a career in this field. 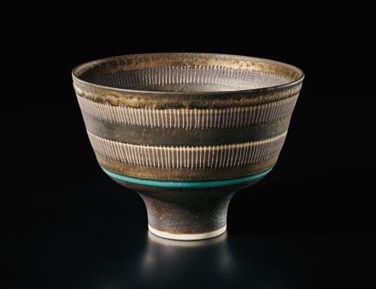 Returning to her first pottery loves – the turntable and the electric kiln –, Lucie Rie confirmed her style upon the war’s conclusion: a mixture of modernity and ancient, even prehistoric influences (she was said to be particularly impressed by her visits to the Neolithic and Bronze Age collections in the archaeological museum in Avebury, in the south of England), also characterised by a search for purity and an ease with austerity. 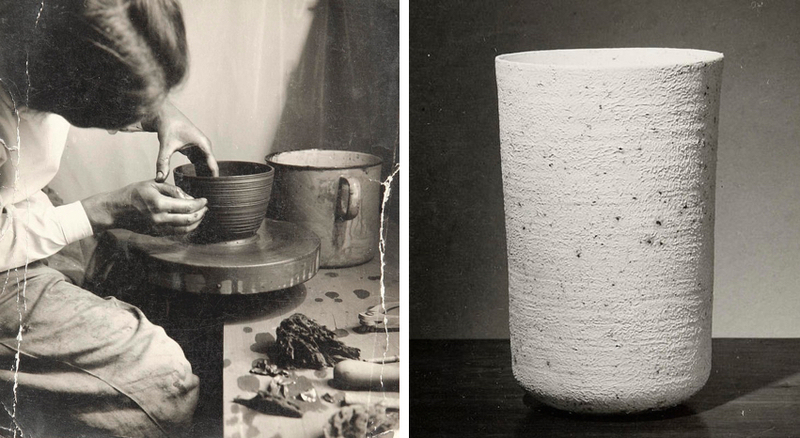 Placing her research and independence above the trends and the expectations of her entourage, namely Bernard Leach, a key figure in English pottery in the mid 20th century, or Hans Coper, who quickly geared himself towards more monumental creations, Lucie Rie mainly designed modestly-shaped vases, bottles and teacups with textured surfaces, sometimes colored in bright, intermingling shades, which highlighted the techniques of sgraffito and nériage. 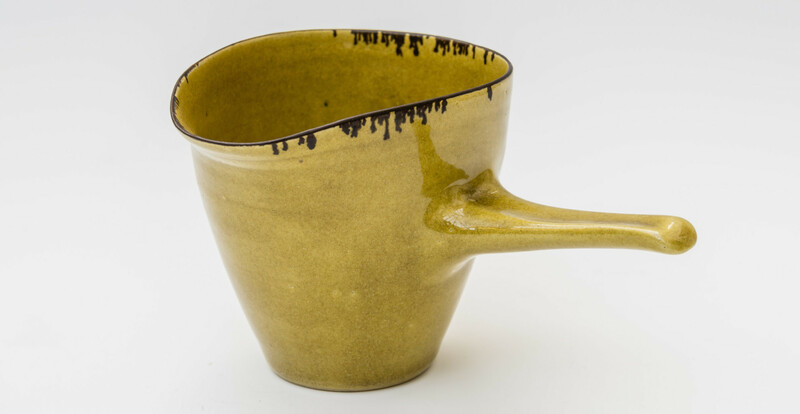 The seeming fragility of her creations often contrasted with the customarily solid appearance of stoneware. Despite suffering from several heart attacks, she continued to sit at the turntable until nearly 90 years of age. A tireless worker, her dedication was widely recognized by prizes and renown in her adopted country, which would shower her with its highest distinctions. Appointed an OBE in 1968, she would be promoted to become a Dame in 1991. She also received honorary doctorates from the Royal College of Art in London, as well as from Heriot-Watt University in Edinburgh, Scotland. 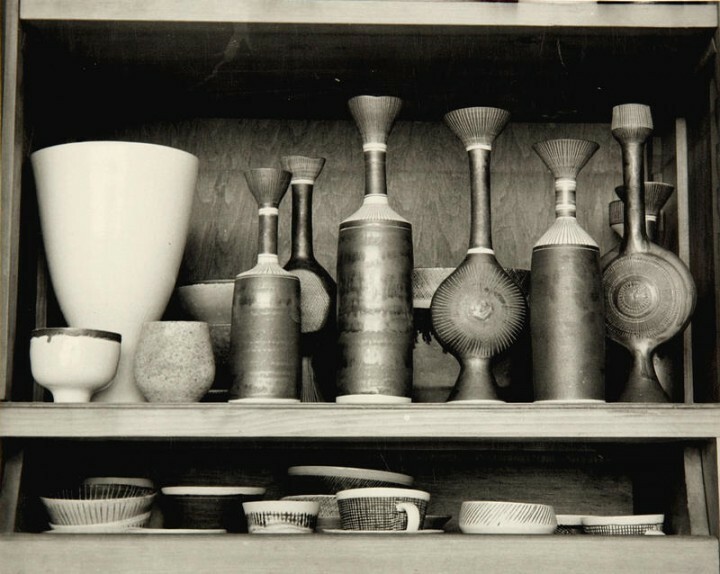 In the latter part of her life, her pottery, which flirted with the purity of Asian formalism (fashion designer Issey Miyake was amongst her friends) or appeared to be eroded by centuries of exposure to the natural elements, was presented in museums all over the world, for example the MoMA in New York, the Carnegie Museum of Art in Pittsburgh, the Paisley Museum in western Scotland, and of course, numerous English institutions. 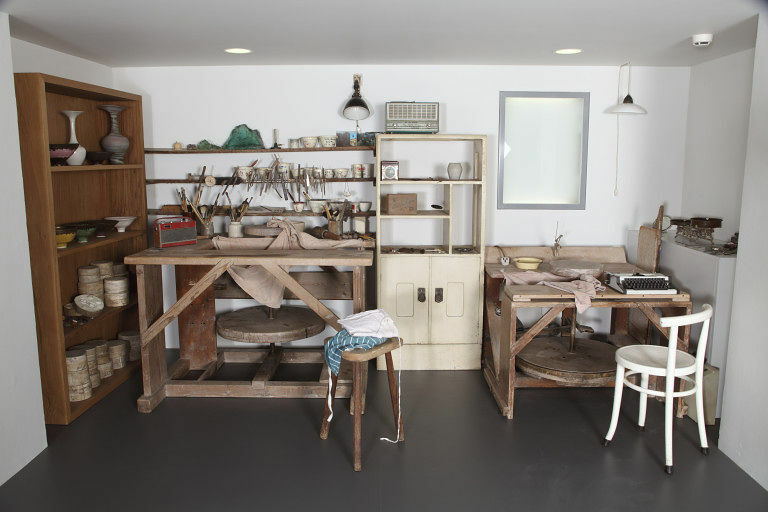 Her Albion Mews studio was even recreated at the Victoria and Albert Museum following her death in 1995. 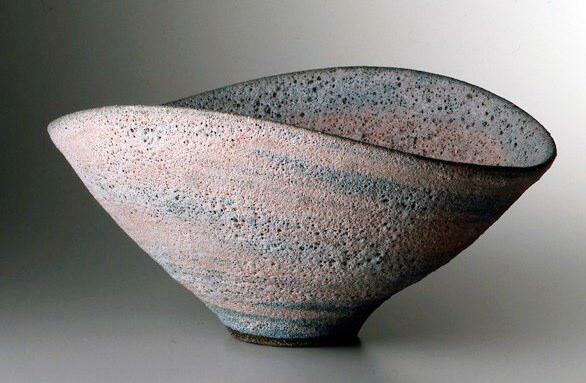 Today, her works are comparable in value to those of Hans Coper. Prized by American, British, European and Japanese collectors, their prices are capable of climbing – even if they don’t reach the summits of the most valuable paintings – to tens of thousands of dollars for the most significant pieces. 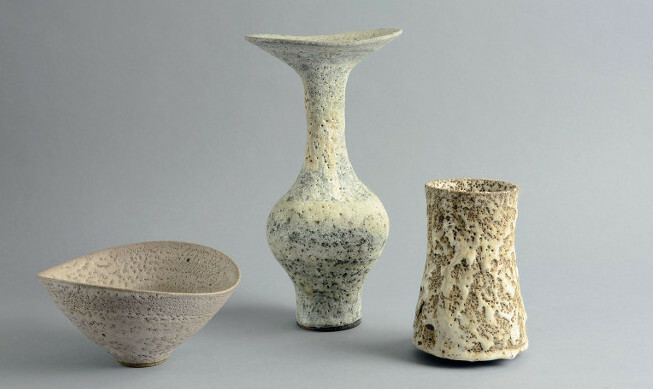 Check out more of Lucie Rie's objects on Barnebys.